Established marketing authority James Noble announced today the publication of his new report on the dangers that digital sharecropping presents to businesses. The report examines the major issues small businesses and entrepreneurs face and offers constructive advice to support them. The report is available now here. The report contains clear guidance and information and advises businesses on key strategies to ensure they are informed and aware of any issues and maintain balance. It gives valuable support designed to help them avoid potential pitfalls associated with digital sharecropping and move their businesses forward. 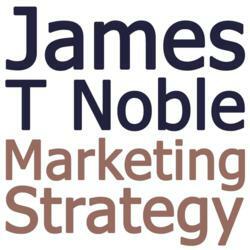 James Noble's straightforward approach ensures that the advice given in the guide is accurate, concise and easy to follow. Noobpreneur.com is a small business blog owned by business authority Ivan Widjaya that is designed to inform and support small business owners, start-ups and entrepreneurs through varied resources, tips and ideas.